⒈ Do not complain if you do not find the best prizes/items. Everything is randomized. of one, since your serpent will help you search for items! ⒊ You may explore each area ONCE each day if the area is open. As soon as time comes to CS Rollover (CS time) you may post again. 4. There are 4 areas you may explore - 3 of them require a specific serpent. If you don't have the proper serpent(s), you may not be able to explore every area. < PLEASE PAY ATTENTION TO THIS. Anyone found breaking these rules consecutively after being warned will be banned from exploring Kruba. Glorious wonders and prizes can be found here! Anyone can explore here, with or without a serpent. You can explore here with a fire, ice, nature, or water serpent. Looking out onto the water, Typhoon Bay looks quite charming but underneath the surface of the water is very different. The currents are strong and unrelenting but pose no problem for water serpents. Always happy to help, water serpents can easily navigate through the Bay for new arrivals and travelers alike. But it's always what lies beneath that brings them near. Under the Bay lies hidden caverns filled with untold wonder and treasure beyond anyone's wildest dreams. 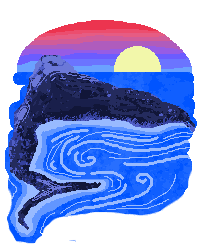 You can ONLY explore here with a water serpent. Trudging through the volcanic ash and rock, it's almost a bad idea to explore this region without a fire serpent by your side. 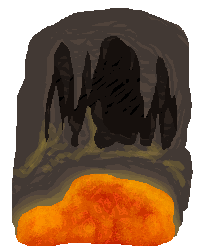 If you manage to navigate the lava pools and geyser eruptions, you'll find yourself in the heart of the Molten Caves. The heat becomes unbearable the further you go and to anyone untrained to the heat, the exploration becomes impossible. If one can make it through the caverns, treasure and gold flows with abundance to those with the means to obtain it. You can ONLY explore here with a fire serpent. 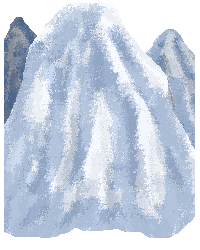 The ice slopes are a difficult area to adventure- the ice is slick and smooth, the air is thin and dry, and the angle of the icy mountains makes it almost impossible to climb them. Surprisingly, ice serpents have adapted to this environment and learned to thrive here. Considering the fact that most ice serpents are introverted and lonesome, the ice slopes don't get many visitors, whether that be humans or other serpents. Even though the environment is harsh, there are actually many useful items that have been left behind from other adventurers. You can ONLY explore here with an ice serpent. Last edited by ｓｕｐｅｒｍａｎｃｒａｙｏｎ on Sat Mar 09, 2019 12:36 pm, edited 25 times in total. the gates and allow guests in to loot the wonders and treasures that hide within the trees. monsters are asleep, Sherbert will also be your guide when guests are allowed in the area. you, but ultimately she is there to keep you and your serpents out of trouble! 1. ONLY SERPENTS can explore this area! This means that you will only get 1 roll per explore, no matter what. 2. The items on the list must be in your inventory or on the serpent you are sending into the forest. 3. You should still be following all of the regular Kruba rules stated in the first post. 4. 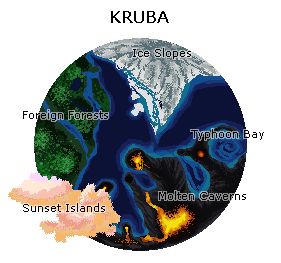 Timing for exploring the forests are the same for Kruba, you may explore once each CS day. 5. You MUST attach the image or link to your serpents image for the director to see proof that their orb is green, signifying they are a nature serpent. 1. You may still participate but ONLY WHEN GUESTS ARE ALLOWED. There will be a time where we will post that the forests are open for all visitors, and this may happen at least once a week or less for 4-6 hours. 2. You do not need a serpent to explore during this time. 3. Whether you have a serpent or not during this time, you will still only get 1 roll. 4. Please do not try to explore the forests when you're not eligible and they aren't open for guests. You will not get any prizes. 5. When the forests are open to guests, you may post only one explore form. extras will not be counted. Anyone found breaking these rules consecutively (after being warned) will be banned from exploring Kruba. Collect all of these items and you will be eligible to enter the Forbidden Forests. I've added links to where you can get each item and what you will need to do/collect to obtain each one. Got all the items? Good job. You don't need to apply them to your serpent, but if you have them applied to any serpent it must be the serpent that is going to the forest, and this serpent must also be a nature serpent. 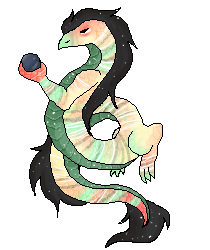 If you have the orb potion to use on a serpent, feel free to pm me (supermancrayon) and I'll let an artist know and we'll get you your new serp image, and the archive edited and all that. If you have all of your items and are ready to head to the forest, PM me (super) and I will add your name to our nifty list that tells us who is and is not eligible to enter. Once I give you the okay, you may post the form below on this thread. If you're visiting as a guest today, please make sure the forest is open. You can check this by 1. checking the text above the form for exploring the forest. 2. check the header to this thread. it will say (forests open) if it is open. if it does not say that, assume they're closed. 3. looking in the latest posts for a post from myself (supermancrayon) stating that the forests are, in fact, open. If the most recent post you find from me says they're open, they are open. If my most recent post on this forum says they are closed, they are closed. You can check this by using the search feature- every time I open the forests I will add in the code term "peachy slugs" therefore if you type in "peachy slugs" in the search bar, you will find my "open/closed" posts. If you find that the forests are open for guests, you may post the form below on this thread. items required at this time, monsters are awake! [size=85][list]I want to explore the forbidden forests! Last edited by ｓｕｐｅｒｍａｎｃｒａｙｏｎ on Sat Mar 09, 2019 12:37 pm, edited 17 times in total.